Here’s the first one of an exciting new chain of diner restaurants opening in Alberta, Canada. 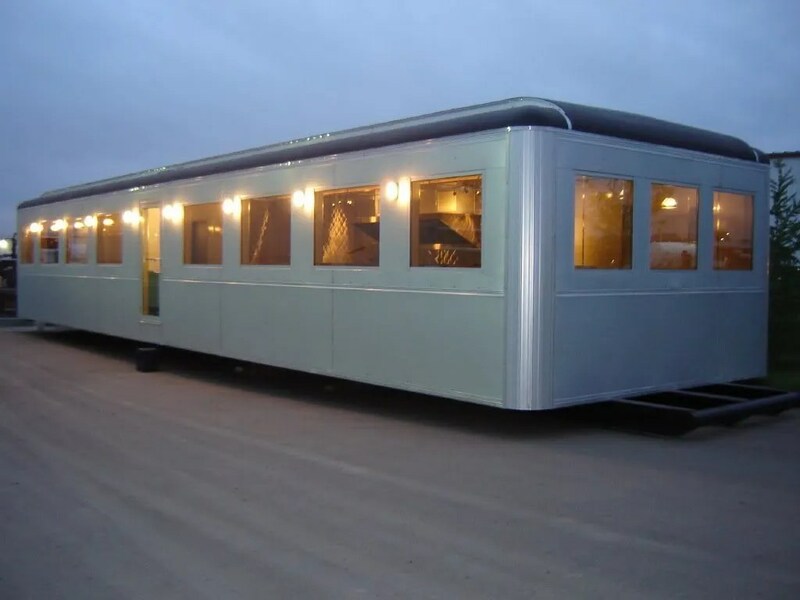 Made by ”Prairie City Diners“, this is a Shaw International and Medallion Structures joint venture. 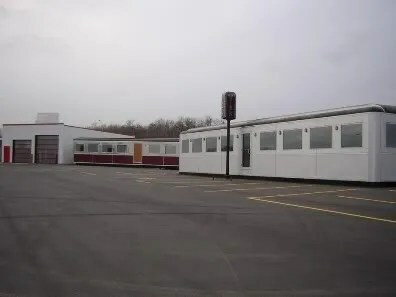 Each restaurant will have a different name, and this first one will be called ”Queen’s Diner“, named after the business park in which it is located. According to owners Scott Shaw of Shaw International and Jim Landin, of Medallion Structures, plans for the first 10 diners are already underway! Interest in this new product is high, so the sky is the limit! Built from the ground up, the diner itself has been patterned after the 1940-1950 silk city diners with round corners and roof lines. Not all within this new chain will be diners. 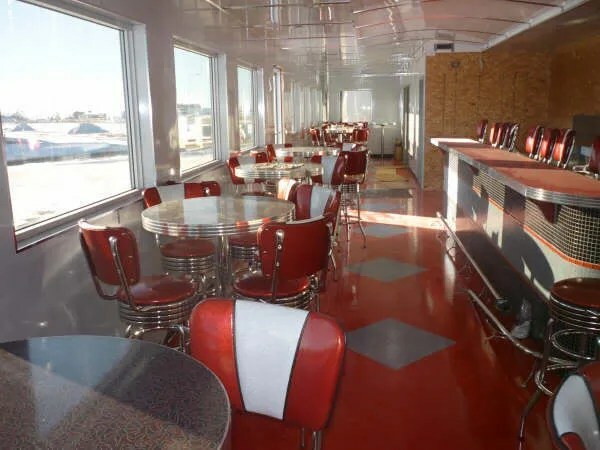 Some are bar cars and some ice-cream shops, but they are all in the diner style! 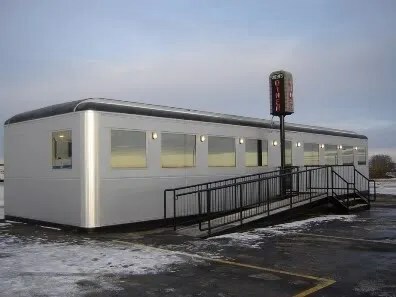 What is so great about this new diner is that it is easy to move, they are built solid and can be moved anywhere. 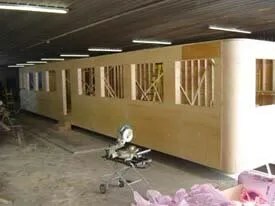 This first one shown below was moved from Medallion’s Shop 50 miles from Red Deer, using nothing more than a bed truck and trailer. Scott and Jim wanted to build a good product, and the result is that the diners have turned out better than they could have imagined! 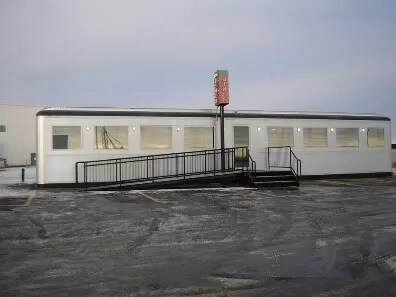 If you’re in the market for a ”real Diner” restaurant that is easy to move and is also turn key, look no further! They can even be sent to other countries around the world! I love that these are not the over the top caricature that so many manufacturers have been building in recent years. In concept and size, theses seem much truer to golden age diners. The design is clean and modern, but follows closely the lines of the classics. A late ’30s O’Mahony or a ’40s- early ’50s silk city is bought to mind. 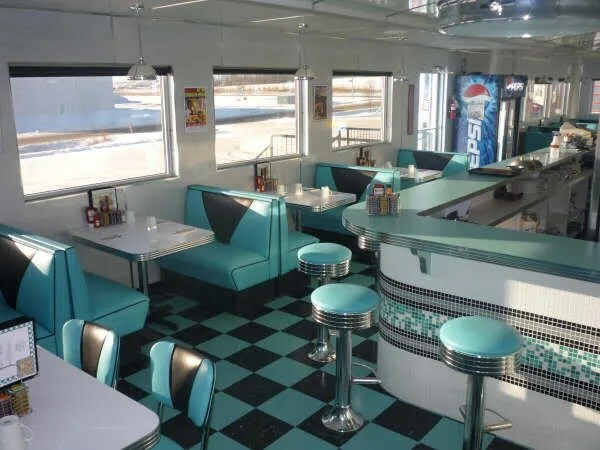 It’s interesting to note that these are not being manufactured out New Jersey or Massachusetts, but out of Alberta, Canada, a province with no history of “real” diners. 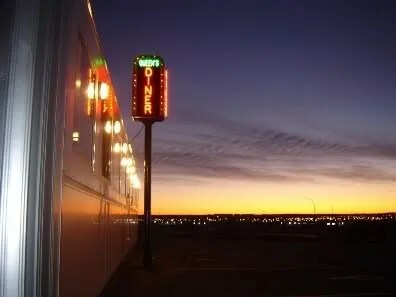 This entry was posted in Diners / roadside related, Diners/ restaurants, Roadside attraction and tagged Alberta, Bar, Canada, Club Car, Convienience Store, diner, ice cream, Jack Cook, Jim Landin, manufacturer, Medallion Structures, Mobile Home, neon, news, opening, Prairie, Prairie City, Queen's Diner, Red Deer, Red Deer Alberta, Scott Shaw, Shaw International, Silk City, Tracey Cook, Wandering River Alberta by Spencer Stewart. Bookmark the permalink. 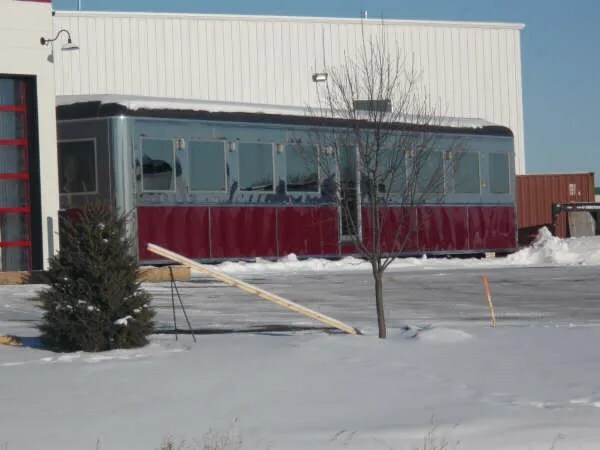 Are these diners for sale and if so how much and can they be towed behind a truck? “How easy is it to relocate a diner? 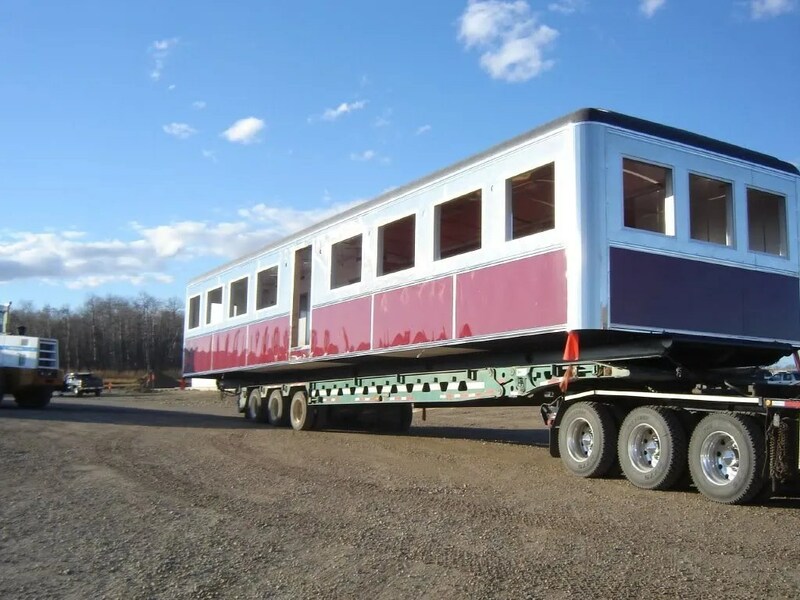 The diners can be easily moved with a winch tractor trailer unit. They are designed so no crane is used to spot onto the foundations. The big advantage to having one of our diners is the fact that the foundation costs are minimal and time saved in your development of the site and restaurant can be drastically lowered. Also, the diner retains its value if it becomes non-profitable. Starting costs are $250,000.00. This is the base price which is the structure with seating and limited mechanical. I would like to see other pictures of these like the back of this building ? the roof? if i bought one can i get it without seating and limited mechanical ? 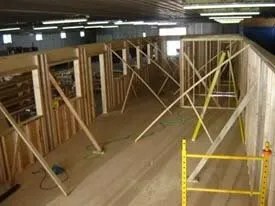 I would like just a basic set up the outside done front and sides with metal i wish to keep the back without metal so i could attach another building behind it i don’t want the inside done maybe only the ceiling and walls on the inside. and what would that cost?